Detalii produs Helios DRF has been designed with a privilege to the aspects of lightness, compactness and reduced dimensions. Each movement has been optimized to facilitate the use by the operator and to ensure maximum patient safety, preventing his movements during the examination. 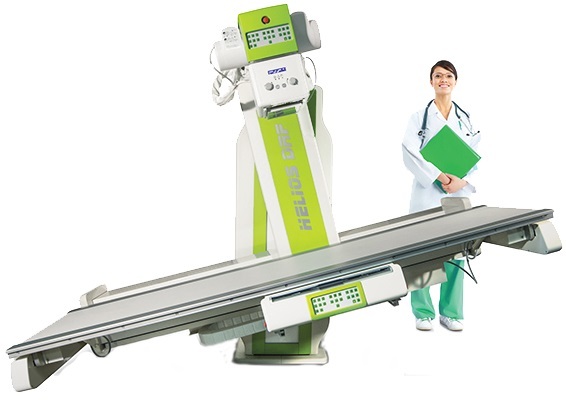 The minimum height from ground of the patient tabletop is just 45 cm, the lowest of the category. The access is made easier for any kind of patient. patient total scan of 209 cm.